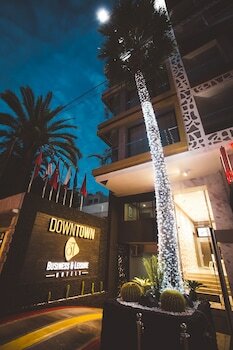 With a stay at Down Town Hotel By Business & Leisure Hôtels, you'll be centrally located in Casablanca, within a 15-minute drive of Hassan II Mosque and Place Mohammed V. Featured amenities include complimentary newspapers in the lobby, dry cleaning/laundry services, and a 24-hour front desk. A roundtrip airport shuttle is provided for a surcharge (available 24 hours), and self parking (subject to charges) is available onsite. When you stay at Bab El Fen in Tangier, you'll be in the historical district, within a 5-minute walk of Place de la Kasbah and American Legation.